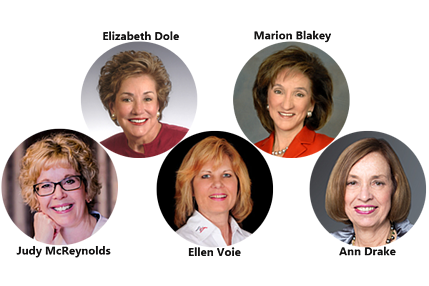 Since March is Women’s History Month we’re highlighting some notable accomplishments of women in the logistics industry. Logistics is still an industry where women are underrepresented, and according to a recent Supply Chain Management Review article “just 5% of top-level supply chain positions at Fortune 500 companies are filled by women. That’s compared to 15% of executive officer positions at the same organizations.” The women featured below have risen to the top ranks despite this and have created ways to welcome others into what can be an intimidating field. Marion Blakey became the first female Chairman of the NTSB (National Transportation Safety Board) in 2001. After this, she served as the 15th Administrator of the FAA (Federal Aviation Administration). She also was the 8th chief executive of the Aerospace Industries Association, and is currently the president and CEO of Rolls-Royce North America. One of the largest logistics companies to be led by a woman, if not the largest, is ArcBest Corporation under President and CEO Judy R. McReynolds. This multi-billion dollar freight transportation and logistics services company includes the operating companies ABF Freight, ABF Logistics, Panther Premium Logistics and FleetNet America. She has over 26 years of experience in the transportation industry, and 19 of those have been at ArcBest. As the founder, President, and CEO of Women in Trucking, Inc., Ellen Voie has the goal of letting women know that the industry welcomes them. This organization also has the objectives of promoting the employment of women in trucking, removing obstacles, and celebrating the successes of its members. Women in Trucking offers an Annual Award for women, has events and other ways for women to network with each other and learn more about the industry. She has spent her entire career in the logistics and transportation industry and in 2012 Ellen was honored by the White House as a Transportation Innovator Champion of Change. After seeing the need for more opportunities for women in logistics to network, collaborate and develop their careers, Ann Drake founded AWESOME—Advancing Women's Excellence in Supply Chain Operations, Management and Education. This organization provides events, scholarships, and other resources, and is the supply chain’s most prominent organization for women. Ann Drake is the Chairman and Chief Executive Officer of DSC Logistics and has been involved in logistics since the mid-1980s. She is also the first, and currently the only, woman to be awarded the Council of Supply Chain Management and Professionals’ Distinguished Service Award in 2012.